Hello, this is Stampy! He likes Minecraft, cakes and dogs. What else does he like? Lovely stickers! Oh, and he really likes making you smile. That’s why he’s made this book! It’s got games, activities, jokes, two pull-out posters and (best of all) over 200 stickers! 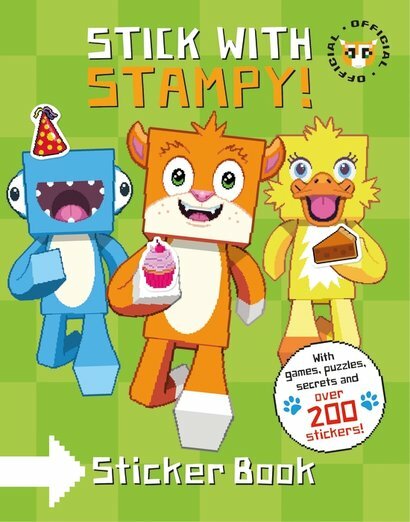 Plus it’s got Stampy all the way through, which definitely makes you smile. We KNOW it does. Stampy had fun making it. Now you can have even more fun reading it and playing with all the cool extras inside.